The New York Times just put out its annual “52 Places to Go in 2019” list. And guess which popular NationsClassroom school trip destination made the list at #12? 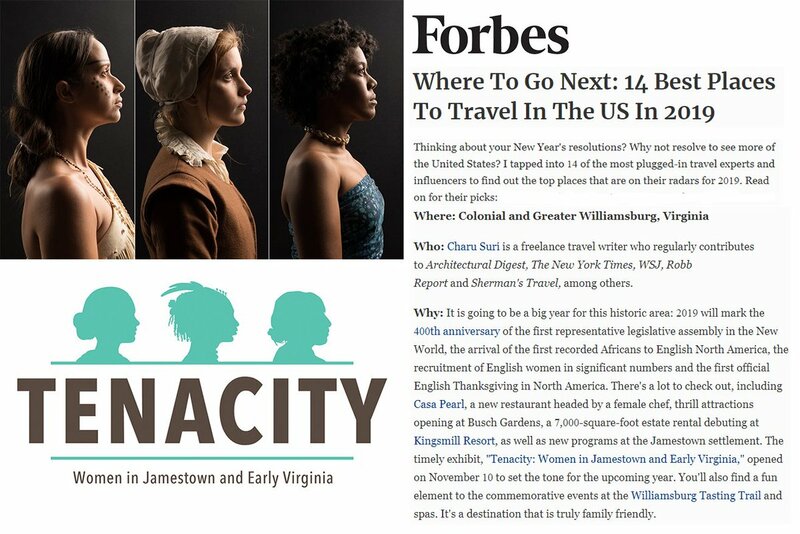 Forbes magazine just released the 14 Best Places to Travel in the U.S. - and Colonial and Greater Williamsburg, Virginia made the list! To compile the list, Forbes Senior Contributor Laura Begley Bloom reached out to 14 of the most “plugged-in travel experts and influencers” to find their opinions for the top places that are on their radars for 2019. An educational tour allows teachers and students to learn in new environments and from people with a variety of experiences and perspectives. For example, the events planned to celebrate the 300th anniversary of the Everard House are bringing together the work of scientists, researchers, archaeologists, architects, and more for visitors to experience in Colonial Williamsburg.